Gen. Ri Yong Gil (Ri Yo’ng-kil; Yi Yo’ng-kil) is the former Chief of the Korean People’s Army [KPA] General Staff. Ri was also a member of the Korean Workers’ Party [KWP] Central Committee and a deputy (delegate) to the Supreme People’s Assembly. Gen. Ri was appointed Chief of the General Staff in August 2013 and removed from office in February 2016. From February 2013 to August, Ri served as director of the General Staff Operations Bureau. 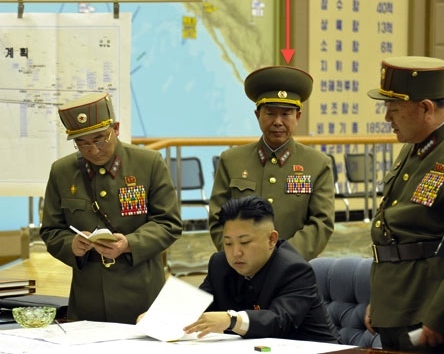 In that position was is responsible for the daily commmand and control of the DPRK’s conventional military forces. Commanders of the KPA’s conventional corps-level units report to Col. Gen. Ri who reports both to the Chief of the KPA General Staff and directly to the KPA Supreme Command (via the Operations Bureau’s #10 Office). From 2002 to 2006, it has been rumored Ri Yong Gil served as a commander of the III Army Corps, a KPA ground forces unit that defends the perimeter around Pyongyang. From 2007 to 2012 he served as commander of the V Army Corps, stationed on the inter-Korean border in Kangwo’n Province and one of the KPA’s four foward-deployed ground corps-level units. His prior career includes a combination of field command experience (battalion commander, corps chief of staff) and service in the KPA’s high command (such as the Ministry of People’s Armed Forces or the General Staff). On 17 December 2012, Ri delivered a speech at a KPA rally commemorating the one-year anniversary of the death of leader Kim Jong Il. In February and March 2013 Col. Gen. Ri accompanied Kim Jong Un on several field inspections of KPA units. Ri also attended a meeting convened by Kim Jong Un after midnight on 29 March 2013, at which KJU signed orders putting KPA missile units on “stand-by” to potentially attack US and ROK military bases. Ri was appointed Chief of the KPA General Staff in August 2013. Thus far he has had the longest tenure of any officeholder appointed by Kim Jong Un. He was removed from office at the first-ever joint expanded meeting of the WPK Central Committee and KPA Party Committee on February 2, 2016. Ri Yong Gil’s known effective promotions occurred in April 2002 to Lt. General** and 2010 to Col. General. He was promoted to four-star general in August 2013. He was elected to full membership in the KWP Central Committee on 28 September 2010 at the 3rd Party Conference. 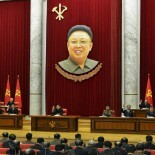 He was ranked #76 on the national funeral committee formed after Kim Jong Il’s death in December 2011.